Type in the domain name you would like to check. 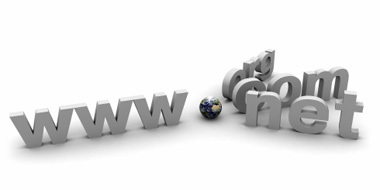 Would your company benefit from a internet domain name? This will allow your web site to be "www.yourcompanyname.co.uk" and you and your employees to have email addresses such as "their.name@yourcompanyname.co.uk". Before your website can be on the internet you must first register a domain name, otherwise known as a URL or web address. This name needs to be officially registered to ensure that you own it and that nobody else can use it. Securing domain names now for your immediate or future use is a quick and easy process. When choosing your domain name you have two choices. You can either choose the name of your company or it could be something that is relevant to your line of business (e.g. www.webdesign.com). If you decide to go for the second option consider using a popular keyword or phase, which will help your search engine rankings. Once you have choosen your domain the next step is to add hosting to it. This provides a place for your website and email to be stored. The web hosting we offer to our clients is supplied via a third party professional hosting company.